Paintless Dent Repair – Highly Rated in CLT! 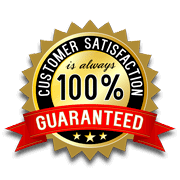 We provide top rated professional mobile services backed by a 100% customer satisfaction guarantee. Our PDR company has the best reviews on Google! Get a free estimate for damages today. At Piedmont Dent Repair, we understand the importance of fixing a dent on your car, truck, or SUV in a timely manner. That’s why we specialize in extensive paintless dent repair services. With our techniques, you don’t have to worry about any dent, ding, or crease becoming a bigger issue than it already is. While some service places fix dents by adding extra bondo or paint, we don’t take this approach. Instead, all of our technicians are highly skilled craftsmen who are able to target the damage from the back of the panel, working our way around the front until we fix it. Although the PDR process is more extensive and requires more skill to fix a dent, it is ultimately more effective. Essentially, adding additional bondo or extra paint to a dent doesn’t really solve the problem. It’s more like a temporary fix. But, the dent, ding, or crease is at risk of becoming bigger and causing more problems for your vehicle. That’s why it’s important to find the source of the damage and fix it as soon as possible. It’s easy to think your vehicle is indestructible. But, the harsh reality is that almost anything could dent your vehicle. Weather is one of the biggest risks posed to vehicles because it is uncontrollable and sometimes even unexpected. You never know when severe rain, wind, or snow could negatively impact your vehicle. Although wind and rain are high-risk threats, hail is ultimately the leading weather-related cause of vehicle dents. This is mainly due to the fact that hail has a solid form and usually falls from the sky at a decently fast rate. In other words, between its density and speed, it’s easy for it to damage your car, truck, SUV or van. Some car owners might ask why it’s important to fix a dent. After all, it’s just cosmetic damage, right? Actually, you might be surprised to find out that dents, dings, and other “cosmetic” damages usually contribute to serious internal problems if they aren’t solved. For example, dents and cracks make it easy for things, such as water, to seep into your vehicle. Obviously, excess water on the inside of your car isn’t ideal for a variety of reasons, but mainly because it can cause rust, ruin the interior, and could even potentially prohibit your car from operating altogether. That’s why it’s important to give us a call as soon as you notice a dent, crack, or ding. At Piedmont Dent Repair, we’re here to help with all your dent-related issues. We even offer a limited warranty on the damage panels we repair. Our business services all of Charlotte and surrounding areas, including Western NC & Upstate SC. Give us a call today at (704) 477-0995 for more information!